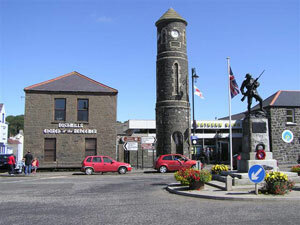 ROYAL BLUE MASONIC LODGE 414 IS SITUATED IN THE PICTURESQUE VILLAGE OF BUSHMILLS, CO. ANTRIM. The Royal Blue Masonic Lodge No. 414 in Bushmills, County Antrim, celebrates its 250th anniversary on 8th March and it is expected that the AGM and the PGM of Antrim will be in attendance. 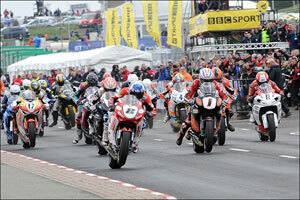 The famous North West 200 motorcycle race is run each year from nearby Portrush. March 8th is the actual date, in 1764, when the Lodge was warranted. The Royal Blue Lodge is holding a communication, followed by a champagne reception with dinner and dancing for its visitors and guests at the Royal Court Hotel in picturesque Portrush. The Lodge's original 18th century Master's, Senior Warden's and Junior Warden's jewels will be worn by the modern day officers during the ceremonies! In fact each member of the Lodge has received a Lodge tie and a special commemorative jewel to honour its birthday. It's no wonder that 414 are such a happy lot. 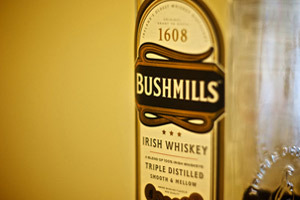 The Royal Blue Masonic Lodge is situated only a couple of hundred metres from the most famous (and oldest licensed), Irish whiskey distillery in the world, Bushmills – so we somehow feel certain that the assembled throng will not be struggling too hard to find something with which to liven up their party…!